One of my New Years to-do list items was to buy tea from independent sellers on etsy, but when I found out about this fantastic brick-and-mortar tea shop, I had to check it out. 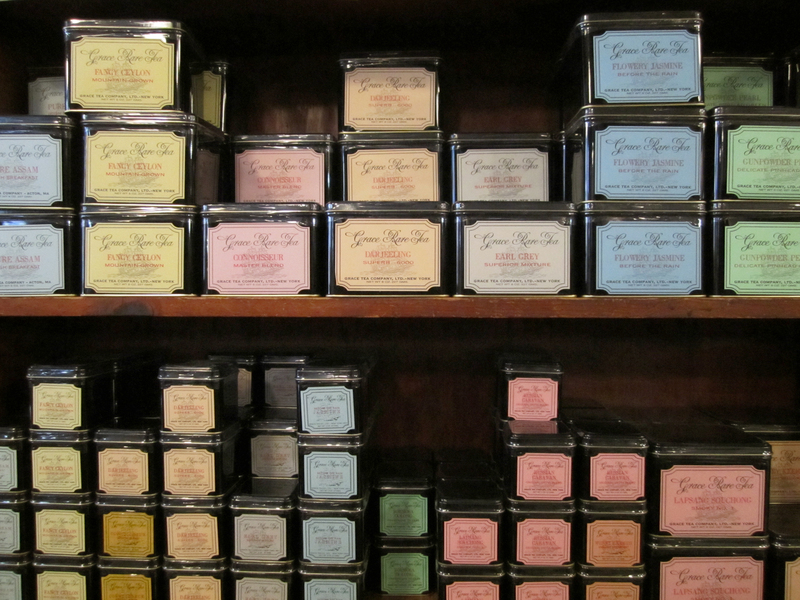 And oh my gosh, it is like a tea-lover's paradise. 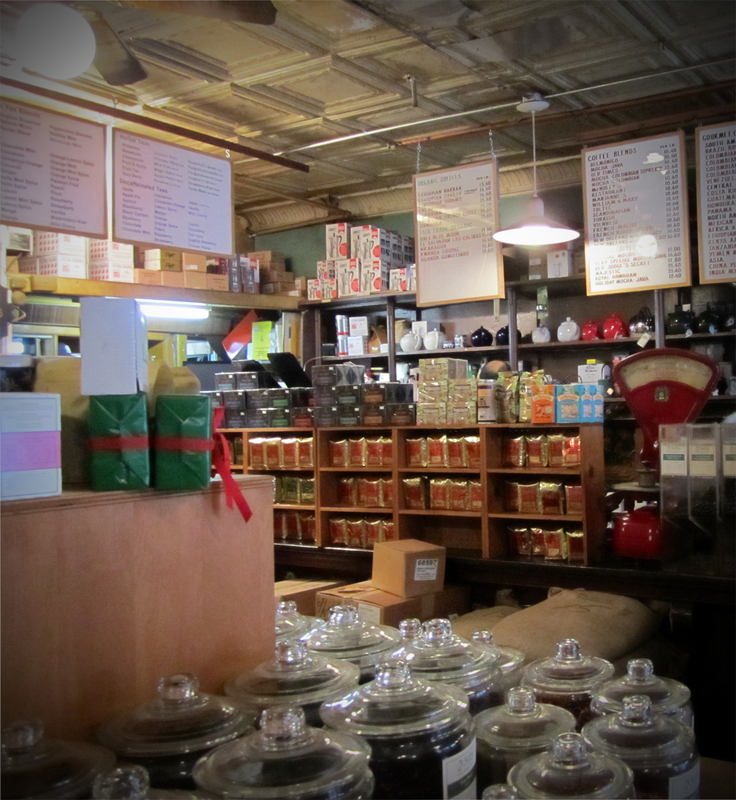 McNulty's Tea and Coffee Co. is on Christopher Street between Bleecker and Hudson. I don't like coffee, so I was pretty focused on the tea selection, but they had lots of different kinds of coffee beans, too. And there are these great antique scales where everything gets weighed. And when you walk in, it smells so good. 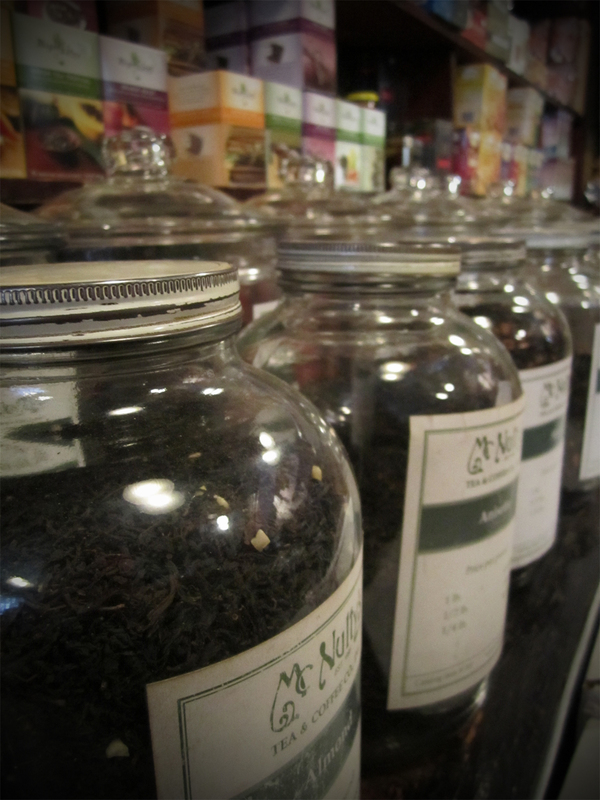 McNulty's sells tea and coffee accessories, too, lots of tea infusers and tea pots and French presses. 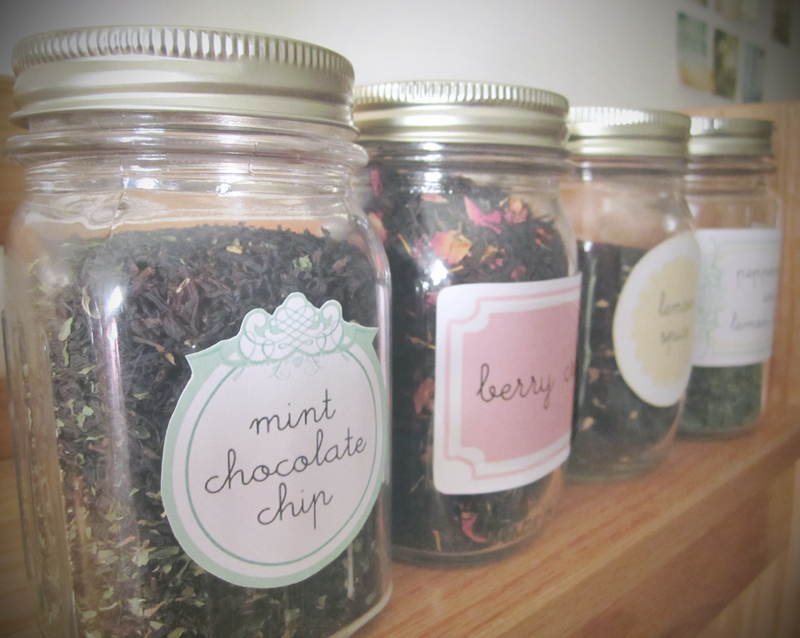 I picked out three different black teas-- Mint Chocolate, Berry Creme, and Lemon Spice. 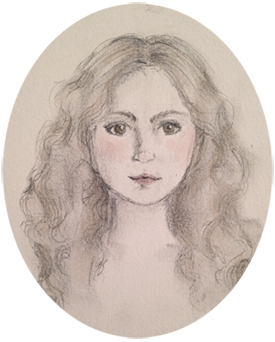 The fourth tea is an herbal tea mix of peppermint and lemon balm, from our garden at home. The labels (minus the words and a little recoloring in Photoshop) are from here, here, and here.